If you’re fitting to set off on a grand adventure across the sea this Halloween then you need the right look. One that says you’re ready for any amount of danger that may come your way. Well matey, worry no more. 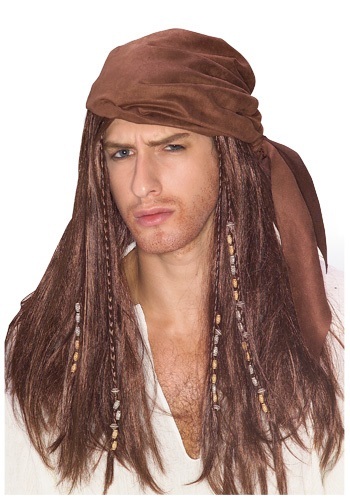 With this amazing Brown Caribbean Pirate Wig, you’ll look like the fiercest man to sail the seven seas. Not to mention, you’ll also look like the protagonist in a love novel about a pirate king. Once you add this wig to a pirate costume of your liking, you’ll be more than ready to take command of your own ship and crew! Of course, you will also look more than ready to hit the party scene. So toss on this amazing wig and enjoy plenty of Halloween festivities or even an adventurous voyage across the ocean! Just be sure to take a look through the rest of our pirate themed accessories to perfect your new look.